I recently was asked by my publisher to write an essay about why I chose to write the book All the Law. The essay was included in a book called Why We Wrote, and the proceeds of the book go to the Children’s Literacy Foundation. As the opening pages of my book state, I wrote All the Law because I have a passion to teach people about Jesus Christ, and I believe that most Christians are missing the mark when it comes to doing this. Jesus said that the most important thing we can do is love God with all of our heart, soul, mind, and strength, and then to love each other the way that we love ourselves. If we truly show unconditional love this way then we will learn how to obey all the law. The lives of other people have been changed as well. Through the ministry, which is funded by book sales and thus dependent upon my being a published author, lives have been touched. I have heard many stories about people learning and making changes in their lives after reading All the Law. And through the money that has been raised our ministry has given money to other not-for-profit organizations to help fund larger projects, and we actively send my sermon DVDs into prisons, among other things. I have also been able to share the message of Jesus in newspapers across several states, on the radio, and through other speaking requests. None of this would have happened had I not become a published author. Labels: All the Law, Asleep in Heaven's Nursery, PublishAmerica, Who is God? I realize that churches are full of people who subconsciously think that if they do enough work around the church then they must be saved. But I also realize that the church is full of people who love Jesus so much that they cannot help but serve Him in any possible way. The first group may be composed of legalists, but the second group certainly is not. Both groups look the same on the outside, and their deeds are very similar. The difference is the motivation of their heart. Our joy? John was explaining how the listeners could have joy by having fellowship with the Lord, but how does John get joy out of this? The answer is simple. John gets joy from being obedient to God. The Holy Spirit led John to write this precious letter, and John’s obedience was a source of joy to him. Some might argue that his joy would come from seeing his friends have a relationship with God, but their relationship would be the fruit of his obedience, so the point is still the same. What they don’t realize is that the “prisoner’ is filled with joy. I did not write this to be argumentative. I am writing this to that faithful brother or sister who has been misled into thinking that God is opposed to their service. It is easy to come to that conclusion when someone says that it is only the legalist who gets involved in church work. And while I fully understand and agree that God doesn’t require us to work our way to heaven, I also know that He commands service. In fact, He told us that pure religion involves ministering to the needs of widows and orphans (James 1:27). That is work, and when your church has a ministry at an orphanage, you are not a legalist for spending a Saturday ministering to the orphans. 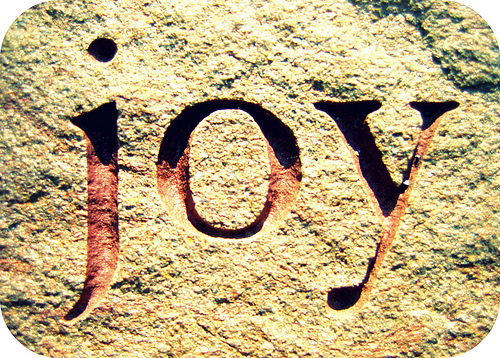 God is such a good God that He even rewards us with the gift of His joy when we obey Him. I get unimaginable joy for serving the Lord, and I want all believers to be filled with that same joy that comes through service. So again, I did not write this to be argumentative. I have written this to you that our joy may be full. 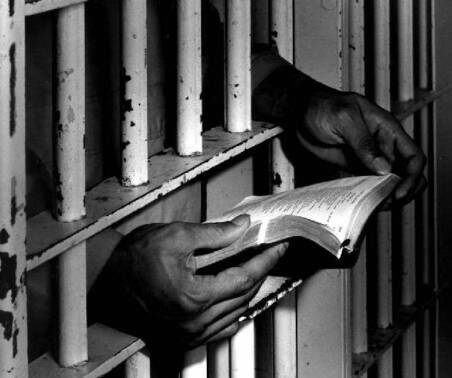 Thousands of inmates nationwide want Bibles. Some of these inmates are Christians, and some are not. Either way, their lives are in a mess, and they are desperate for the truth. Most prison chaplains are volunteers, and most have little or no budget. While they want to be able to provide Bibles, it is financially difficult for them to put one in each person's hands. Many inmates have to share Bibles from the library so they can only read them at certain times. Once an inmate leaves, he will take this Bible with him to be a "lamp unto his feet and a light unto his path." But that also means that the inmate who takes his place will hopefully ask for a Bible, so another one must be provided. As Christians we know that “[God’s] Word is truth (John 17:17)” and “the power of God unto salvation (Romans 1:16),” and that is exactly what these inmates need. Through Tommy Mann Ministries we are seeking to put Bibles into the hands of every single prisoner that wants one. We are sending boxes containing 24 Bibles to any chaplain that requests them. Our greatest need is covering the cost of shipping. We could also use any old Bibles. Most of us have multiple copies, some of which we never use any more. Instead of throwing them away, why not donate them? Remember that Jesus said in Matthew 25:36 that if we minister to those who are in prison, we are ministering to Him. If you are interested in helping, please visit here. All donations are tax deductible.